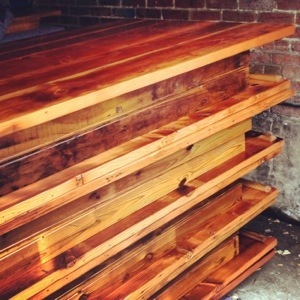 Our New Thick Top Farm Tables Are Here! 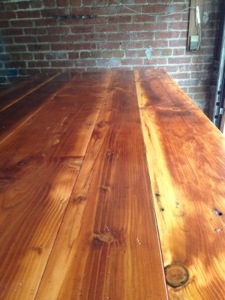 Today, finally, our thick top barn wood farm tables arrived! We can wait to see these beauties rebred at weddings and events this summer. We opted for the luxury handcrafted thick top to make them really stand out. I hope you all like them as much as we do! More photos to come this weekend! 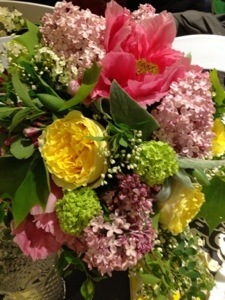 Something Vintage Rentals Styling at Antropologie! 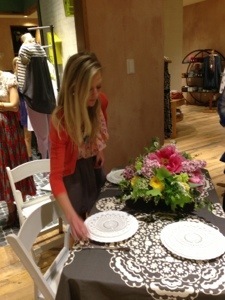 On Wednesday, we were so thrilled to style a table at Anthropologie with Holly Heider Chapple Flowers. Holly taught a wonderful Mother’s Day DIY vase class while we styled one of the tables with her gorgeous floral arrangements, our vintage china and flatware, and some of Anthropologie’s lovely tabletop accessories. We’ll have some professional photos later from Anne Robert Photography, but for now, here is a sneak peak. 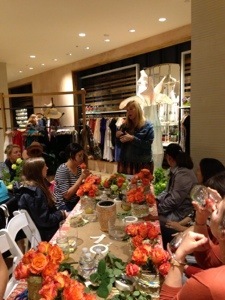 Thank you again to Holly, Anne, and Anthropologie for letting us be a part of this fabulous event! 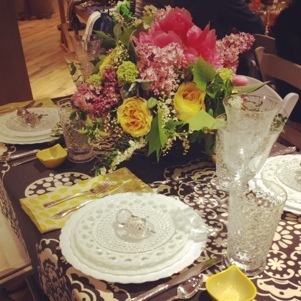 I never thought I’d be able to say I styled a table at Anthro–everyday great things are happening around here. Thank you to everyone who made this thrilling day possible! I generally don’t shy away from taking on a challenge, especially when it comes to taking on a new project because I never know where it will lead. So when a wedding planner called a couple of weeks ago and asked for cream wingbacks, I told her, “welllll, I do have to wingback chairs that I’ve been meaning to reupholster…” The catch: she needed them in four days. When there is a will, there is a way. So I worked on them day and night with my assistant, adding new padding, tufting, fabric, piping, and nail head trim. Yes, it took me staying up 36 hours straight to finish them before the wedding, but we got them done and I’m thrilled with the results! I’ve learned that sometimes I just have to dive in because, as in life, if I’m always worrying about not knowing exactly how to add the piping or how to secure the tufting, I’d never start a project and never get to the result. Sometimes it’s about learning as you go along on uncertain journeys and sometimes we are lucky enough to get beautiful nailhead wingbacks at the or a vintage rental business at the end.